Big Red is welcoming two new devices to its stable today: HTC's mid-range One Mini 2 One Remix, and Samsung's 10.1-inch Galaxy Tab 4. Both are available on the Verizon website right now, and should be in retail stores today or soon thereafter. 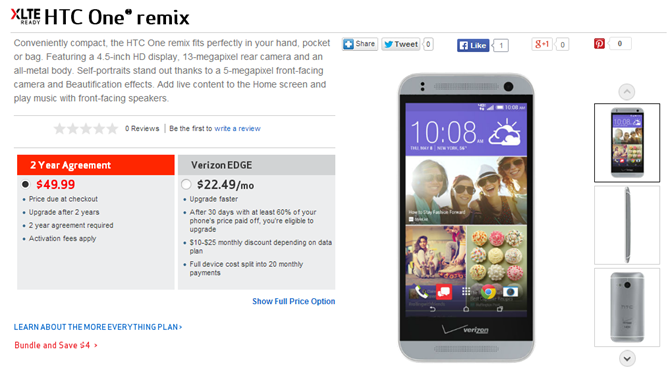 The One Remix costs $49.99 on-contract (half of what we expected), or $449.99 without the commitment, which actually isn't bad as far as Verizon phones go. 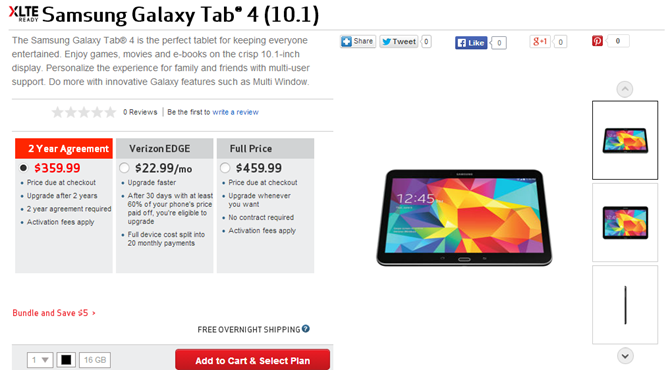 You can pick up the Galaxy Tab 4 10.1 for $359.99 with a two-year contract... if you're a sucker. The off-contract price is just $100 more. The One Remix (stylized "remix") is a carrier-customized version of the One Mini 2. It has Verizon's characteristic logos on both the front and back, but at least it wasn't branded in the cattle chute fashion of some LG phones. Stylistically it's quite similar to the HTC One M8, with a rounded, all-metal body, dual front-facing speakers, and big bezels on a screen with virtual navigation buttons. Underneath that 4.5-inch, 720p display, you'll find a Snapdragon 400 processor, 1.5GB of RAM, and 16GB of storage longing for a microSD card to fill its slot. At least the software is mostly up to date, with Sense 6 running on top of Android 4.4. The rear camera is 13MP with no "ultrapixels" or dual setup, which some users might prefer. The processor is a 1.2Ghz quad-core chip, almost certainly a Snapdragon 400. 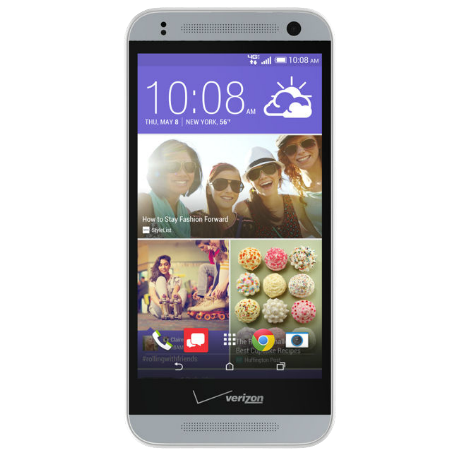 Given the somewhat lackluster specs, I'd pick something else if I were looking for a cheap on-contract phone - last year's HTC One, LG G2, Moto X, DROID Mini, and DROID Maxx are all currently free on Verizon's site. The Galaxy Tab 4 10.1 suffers from Verizon's usual premium pricing for tablets. And even with the contract discount, it's a bit hard to swallow the decidedly budget specs, including a 1280x800 screen, 1.2Ghz quad-core processor, 1.5GB of RAM, and 16GB of storage augmented by a microSD card slot. (Hey, that's remarkably similar to the One Remix.) The rear camera is a disappointing 3MP with no flash, and software is Android KitKat with Samsung's TouchWiz sprinkled on top. At this point I don't understand why Samsung continues to release a new Tab series every year - it's basically just a new coat of paint. And picking one up on Verizon when you could tether a Wi-Fi tablet for free (thanks to the company's latest plan terms) seems unwise.